Forklift certification and training in Indianapolis can change your career – and your life! Indianapolis is one of the fastest growing cities in America, and is nominated by Forbes as one of the best “downtown” cities. Many people don’t think of Indianapolis as a major metropolis when compared with Houston or New York, but there are definitely businesses looking for qualified people with the proper forklift certification, but many people don’t know how to get started with their forklift certification in Indianapolis. Indianapolis is becoming more fast paced all the time, boasting new nightlife, attractions, dwellings, and, of course, workplaces. Companies big and small are setting their sights on the city of change – and if your employees need Indianapolis forklift certification, CertifyMe.net can show you how! For those with forklift certification in Indianapolis, forklift operator jobs are available. If you’re ready to work behind the scenes and handle heavy equipment with care while enjoying great benefits and a quality work environment, Indianapolis employers are hiring. For employees and employers, Indianapolis remains a worthy destination. But you’ll need to have Indianapolis forklift certification before working as a forklift operator. With a great selection of training courses for forklift certification in Indianapolis, CertifyMe.net is the best option for complete, comprehensive forklift training in town and across Indiana! Indianapolis employers are required to provide forklift certification in Indianapolis for their employers. Indianapolis is an ever growing city, and employers need to know they’re bringing on people who are the best of the best and can grow with the company and the changing financial climate. If they need training, the employer must provide it. But most companies aren’t prepared to handle training on their own. Indianapolis forklift certification isn’t easy if you’re not aware of current OSHA rules and regulations, not to mention the latest safety standards. With CertifyMe.net, your company will achieve 100% OSHA compliance, along with the training records to prove your employees are up to speed! 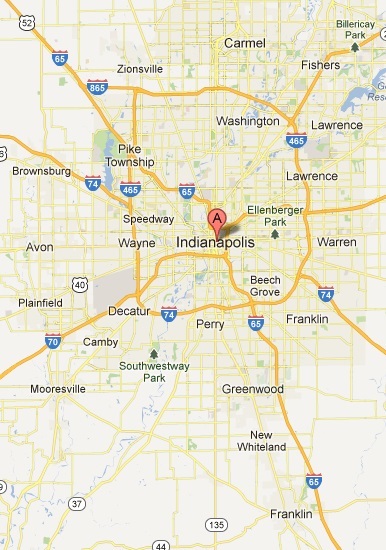 That’s why so many employers in the city choose CertifyMe.net for their forklift certification in Indianapolis! Another reason why employers are looking for trained and certified operators is because properly trained employees are the best protection against accidents that can cause injuries, fatalities, and costly damage. By getting your forklift certification Indianapolis, you can protect your life on the job and provide employers with a safer, more efficient workplace. CertifyMe.net helps potential hires just like you who are looking for the right forklift certification. Indianapolis can be a great place to work, and you can be sure that with the right certification, you’re getting ahead! Indianapolis is also full of many large companies that hire forklift operators with their Indianapolis forklift certification. A prime example of a company in need of a forklift operator is Nestle Waters North America, a name that needs no introduction. Head over to their website, and browse through their job openings to see if any match your skills and qualifications. Nestle is located in many major US cities and is always looking for good people with the right Indianapolis forklift certification. Another company who is constantly on the lookout for trained forklift operators in Indianapolis is Bay Insulation of Indiana Inc. They need equipment workers to move, lift, and transport supplies to meet the needs of their customers. And they need dedicated employees like you to ensure these handling practices are done safely and with care. If you’ve always wanted to work for a large, nationally-known company, look into the job opportunities at AAA. The AAA Cooper Transportation company is also looking for forklift operators who are ready to join their ever growing company. If you have forklift certification in Indianapolis, visit the AAA Cooper website. If you’re an employer at any of these top companies, or any other local business, you also need to look into quality forklift certification in Indianapolis for your employees. According to OSHA, it is your responsibility to provide training for your operators, and to ensure each one successfully completes their training, which must include formal instruction, practice training, and an evaluation. Don’t risk being found incompliant if an OSHA representative decides to visit and inspect your workplace. Make sure all employees who operate forklifts have their Indianapolis forklift certification with CertifyMe.net. Check out our courses today! If you’re an employer who needs to train your employees, you need the best training program available that meets all OSHA regulations. Our forklift certification Indianapolis programs are all online and can be accessed from any device with an internet connection. In only about one hour, trainees can complete the online course and receive their operator card. Enjoy all of your Indianapolis forklift certification in one convenient place – right here at CertifyMe.net! Create an account and get started with the Indianapolis forklift certification you need today! To learn more about our forklift certification in Indianapolis, or if you have any questions about OSHA compliance, give us a call today at 1-888-699-4800. Thanks for visiting CertifyMe.net!